One of Anguilla's popular West End beaches is Meads Bay. 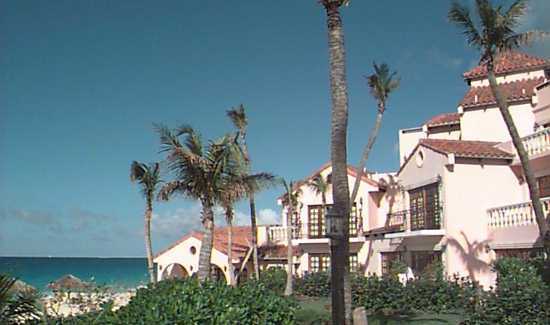 Over the years, Meads Bay has grown into an upscale area. Several expensive hotels and fine dining restaurants line its shores today. In the winter, luxury yachts often dock here. Abramovich's yacht Eclipse is seen in these waters over and over. Hotel-wise, you have Viceroy (it's located on the western tip and has replaced Coccoloba and the swim with the dolphins pool), Malliouhana (is on the east side of the beach and is under new management) and Frangipani. As far as restaurants, there is Jacala, Straw Hat, Blanchards and Ocean Echo. 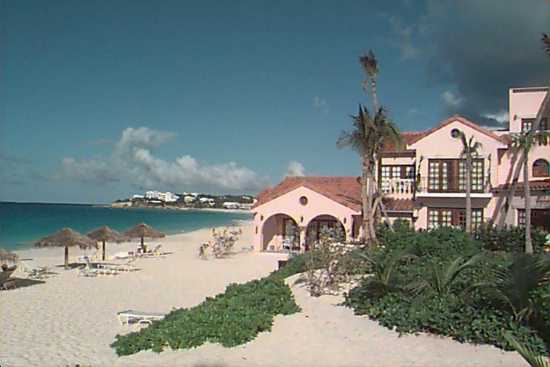 The Meads Bay Beach House (selling for ~$17 million) is also on this beach. There are a few more budget-friendly options, too. 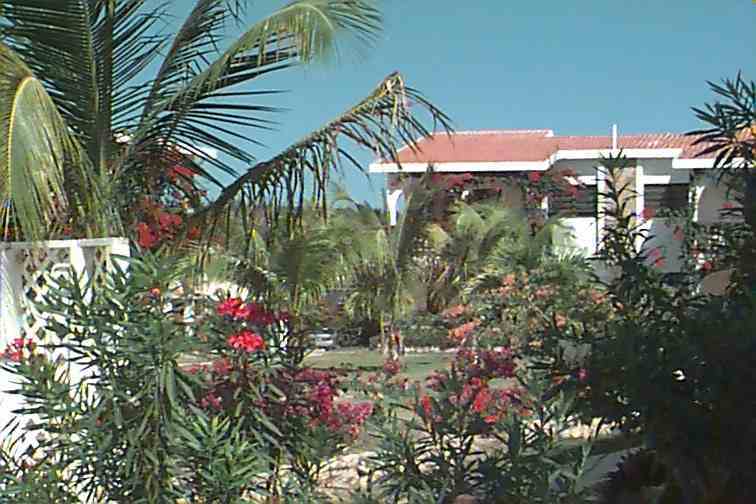 Accommodations-wise there is Carimar, Nathan's Cove, Anacaona, Turtle's Nest and Sur La Plage. Blanchards Beach Shack is the most affordable spot to grab a bite on the beach. All in all, Meads Bay is pretty well varied. Busier than it once was, we still love coming here for a lazy beach day! This is a view of the beach as it looks standing midway and looking to the east. Please note that this picture was taken in March, during the height of tourist season. Hotels were full. Notice how crowded the beach is [not!] You can see the super-deluxe Malliouhana Hotel on the cliffs. This is a superb hotel with gigantic wine cellar and gourmet French food. (The received a prestiguous wine award in 1999.) They are open all year except for September and October, when they are closed for maintenance. Malliouhana now has a luxurious spa and a beachside restaurant and pirate ship water park for children. 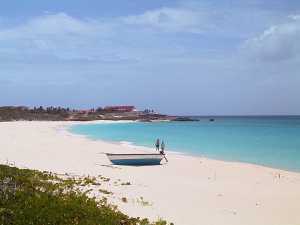 There is public access to Meads Bay beach at the east end of the beach, just by the Malliouhana Spa. Next door to the Malliouhana is the Carimar Beach Resort. 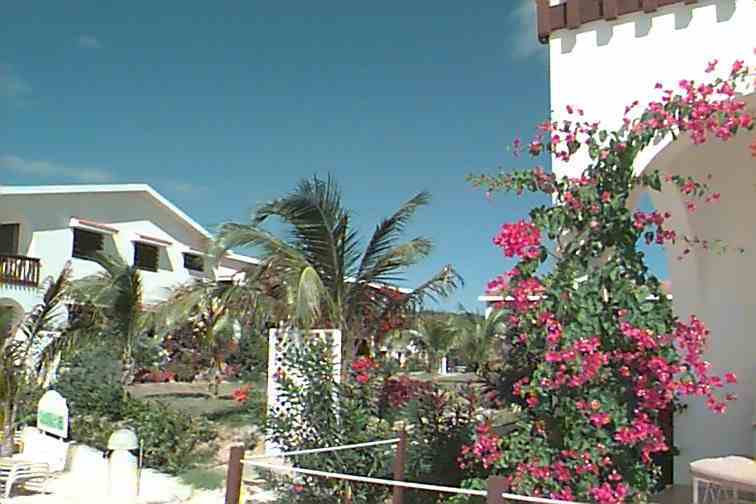 This complex consists of condominium apartments with one to four bedrooms, right on the sand. The gardens are quite nice, as you can see from the picture to the right, also taken in March. Continuing west comes Blanchards Restaurant, a favorite with visitors. 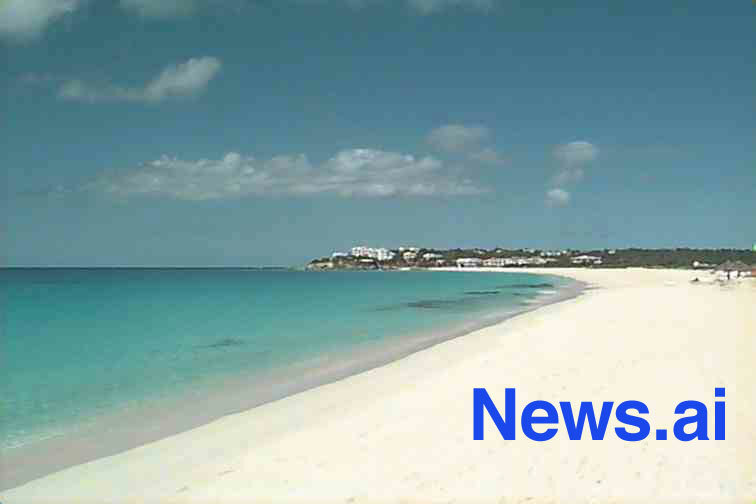 The Anguilla News has a copy of their menu from in the archives. Next door to Blanchards is Nathan's Cove, a small beach apartment building with two 2-bedroom units on the ground floor and and an enormous 4-bedroom apartment upstairs. 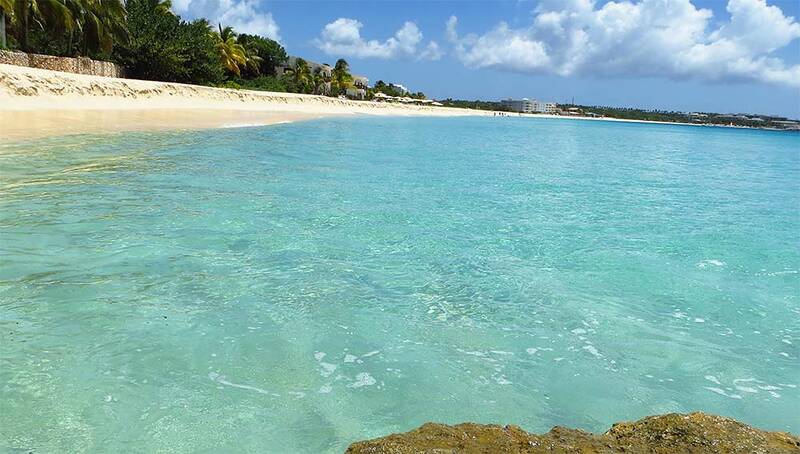 We stayed there on one of our first visits to Anguilla and enjoyed it. Suitable for a family reunion. Telephone: 264-497-6595. Continuing west you pass a long stretch of empty beach with no structures, followed by the small and plush Frangipani Resort. See picture right. We held a small conference there and were very impressed with the luxury apartments on the beach (which can be taken as 1, 2 or 3 bedrooms). Here is another picture showing Frangipani with the beach and Malliouhana in the distance. Next to the west are the Seagrapes Villas, which have been closed since Hurricane Luis in 1995. Just behind and up the hill a bit (a short walk from the beach), is La Sirena, a hotel with two pools, very nice gardens and restaurant, and with villas. 264-497-6827. 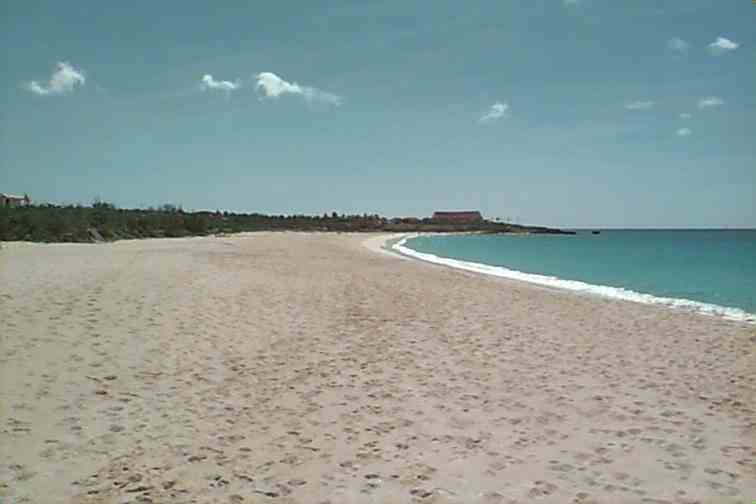 Here is a view from the middle of Meads Bay to the west. Near the La Sirena beach path is Sur La Plage, a privately owned beachfront estate with two villas that can be rented. Telephone: 401-423-1378. 264-497-6598. At the end of the beach are the Meads Bay Hideaway and Dolphin Fantaseas and on the bluff between Meads Bay and Barnes Bay you can see the large main buildings of Coccoloba Resort. 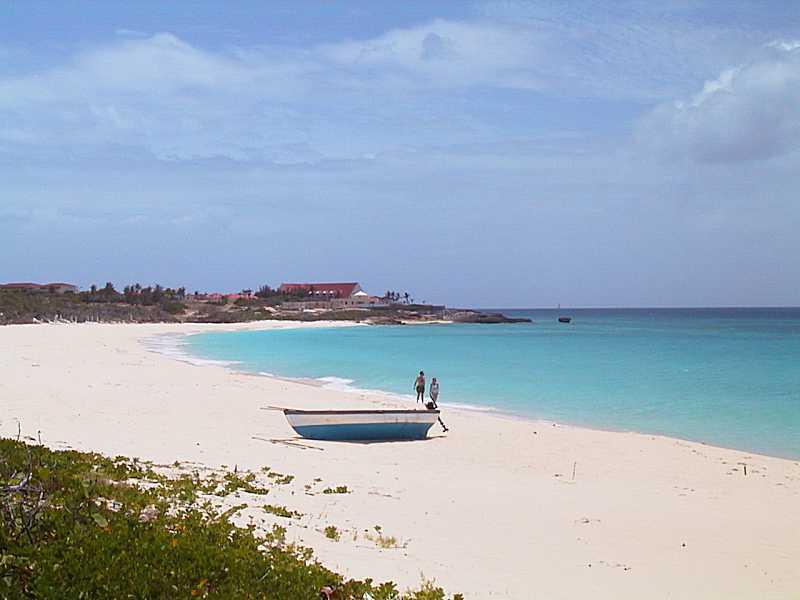 Popular local boat races are held on Meads Bay on Easter Monday and other holidays.